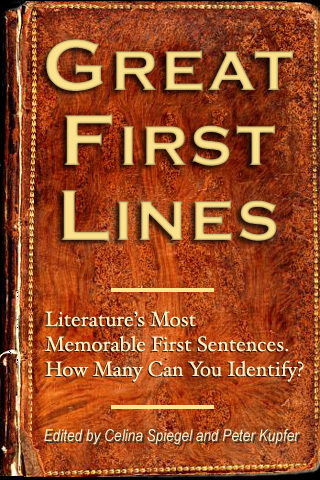 For book lovers, literary trivia fans, and know-it-alls everywhere, GREAT FIRST LINES is an irresistible collection of literature's great opening sentences, cleverly arranged so that each line or phrase builds upon the one before it to create a unique story. From Balzac to Bradbury, Hurston to Hemingway, Tolstoy to Thackeray, Colette to Capote, Rushdie to Rilke, GREAT FIRST LINES presents 200 memorable starts. Test your literary prowess as you try to guess the source of the reference (with answer links and indexes arranged by author and title-but no peeking! ), and then challenge your friends to outwit your superior mind.